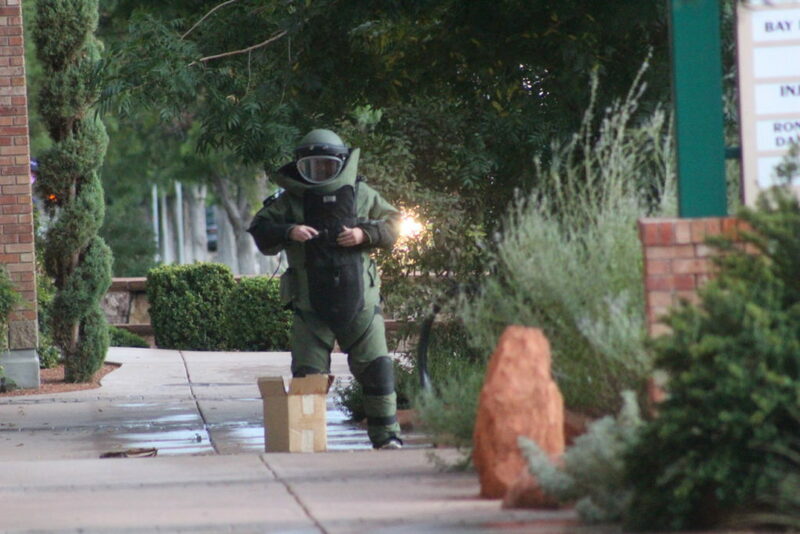 ST. GEORGE – A segment of Main Street was shut down Thursday evening as the Washington County Bomb Squad responded to the report of a suspicious package left on the sidewalk of the Main Street Plaza building. 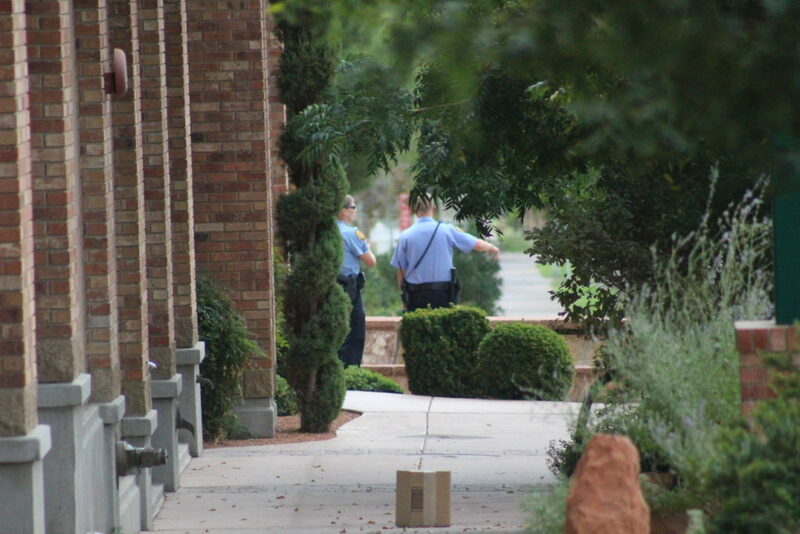 The St. George Police Department received the call shortly after 6 p.m. and went to investigate the situation. 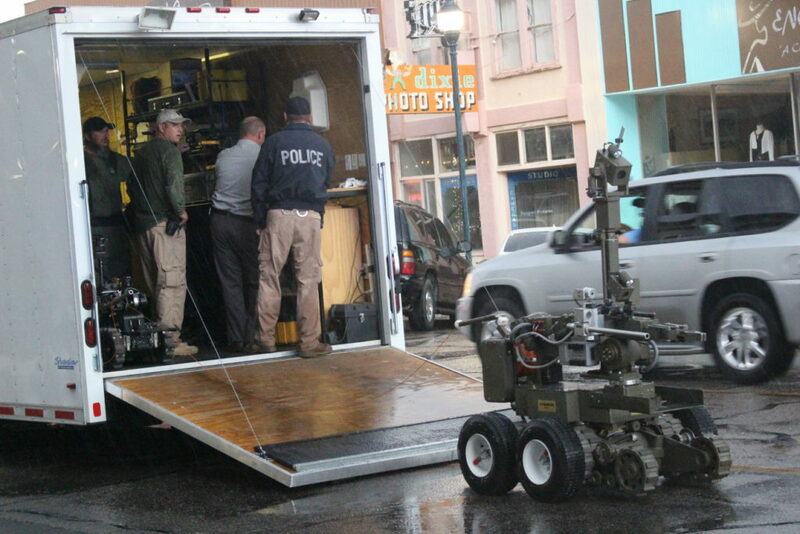 They found a box that at the time appeared unmarked and had unknown contents. As a precaution the police initially blocked the northbound lane on Main Street between Tabernacle Street and St. George Boulevard. 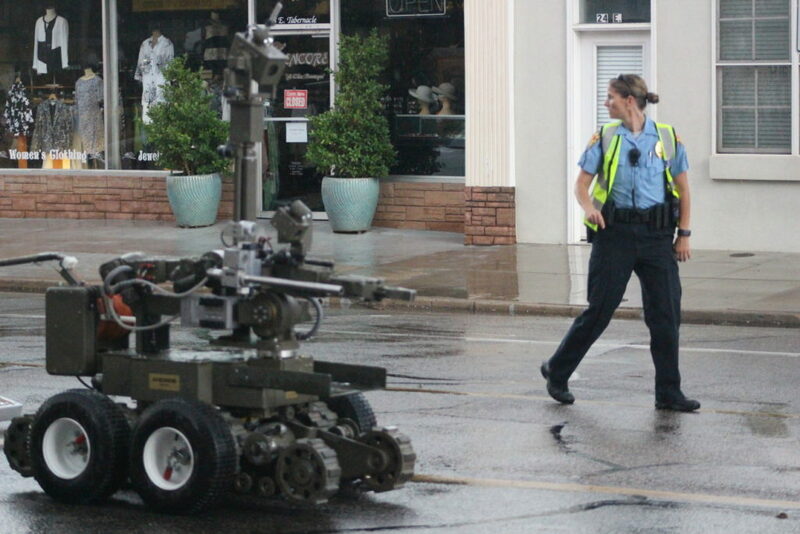 The southbound lane was also blocked off soon after when the bomb squad arrived. 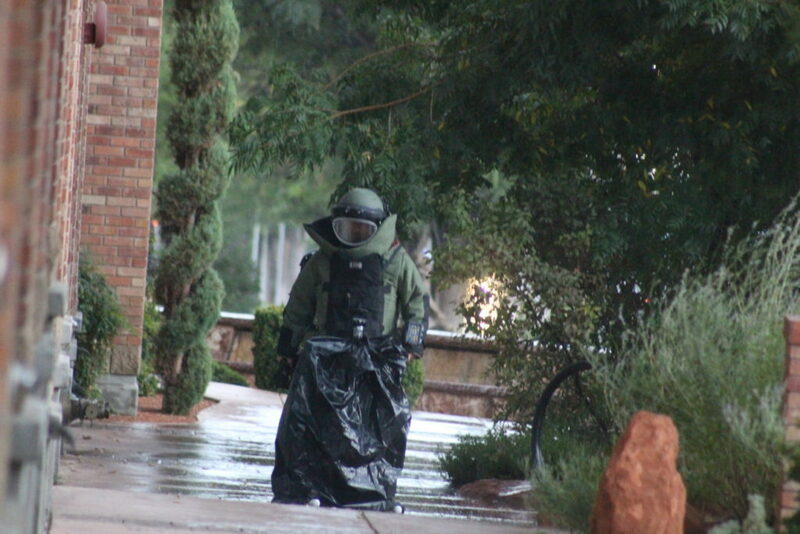 The bomb squad sent a bomb technician clad in a bomb suit to inspect the package with an x-ray device. 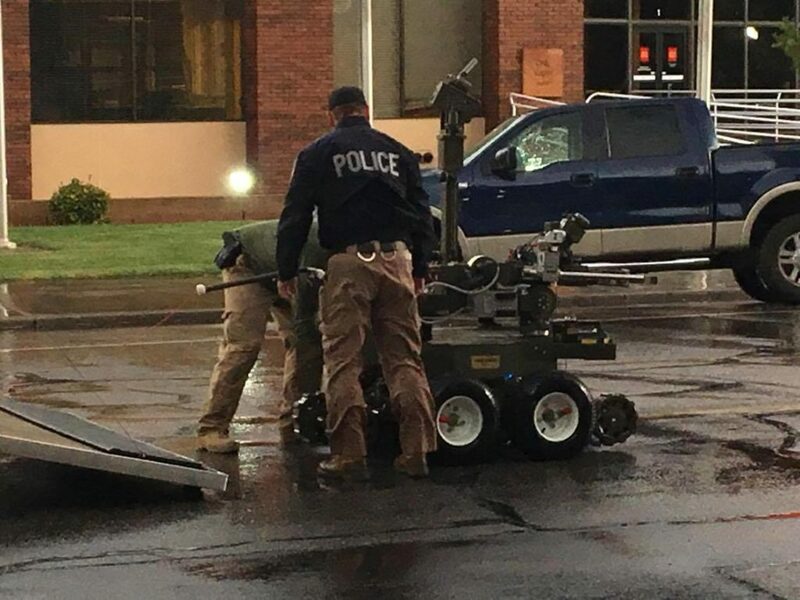 While it may seem odd for the bomb squad to be called out on a “suspicious package” that turns out to be nothing threatening, Schimbeck said the police would rather be mobilized over something ultimately non-threatening than otherwise. 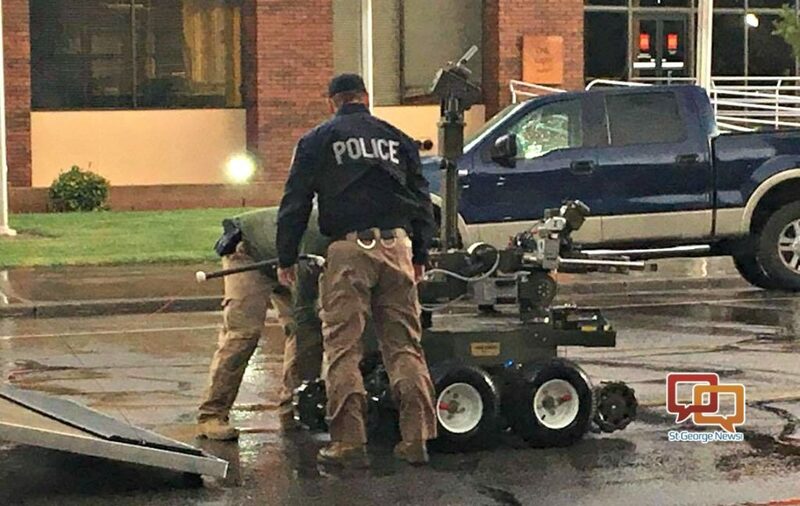 “You never know what’s inside a package until we do our business as far as bomb techs go,” Schimbeck said, adding that the bomb squad has the means to determine what is a potential explosive and what is not. 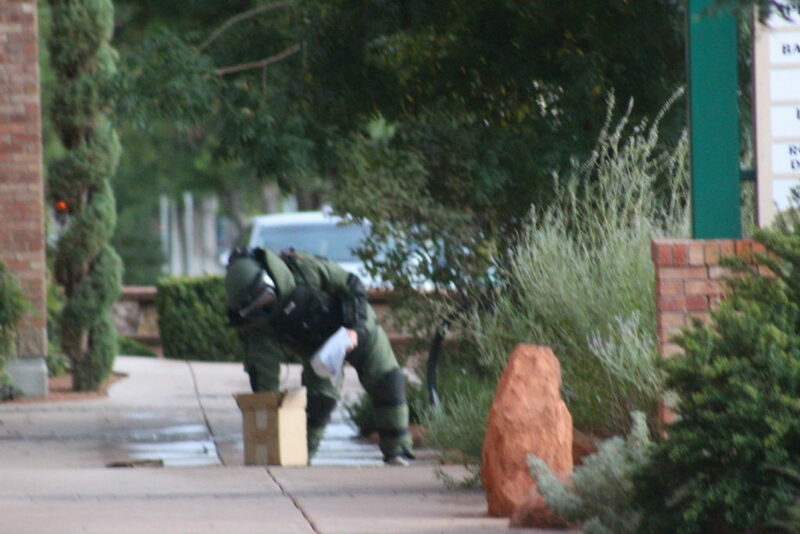 Many times suspicious packages can turn out to be harmless and inane, such as when a case of eight-track tapes was mistaken for a possible bomb in August 2013. In other instances the bomb squad has detonated forgotten and unused explosives left at former construction sites. As the incident unfolded, traffic was simply detoured around the block. 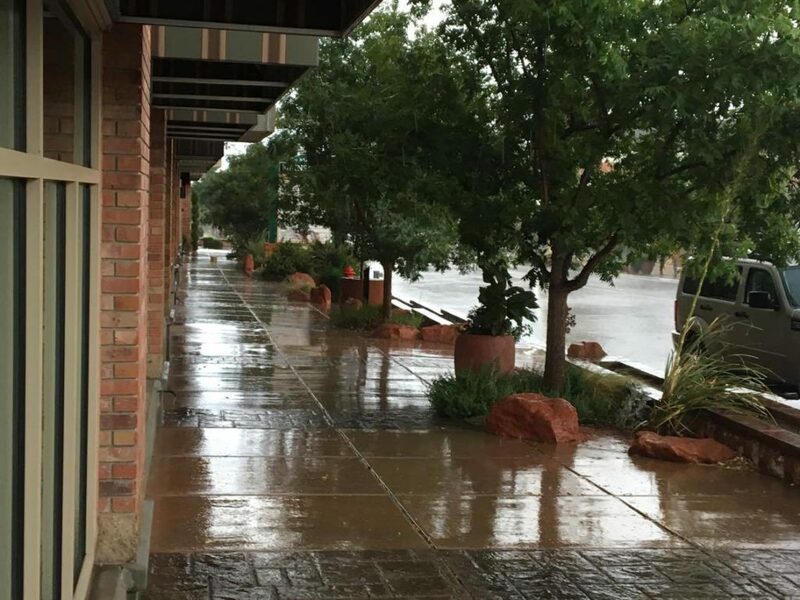 Most of the businesses in the area were already closed for the day or closing down. Not much in the way of an evacuation of the area needed to be done because of the incident, St. George Police Sgt. Curtis Spragg said. No one was harmed during the incident which was wrapped up by 8:30 p.m. 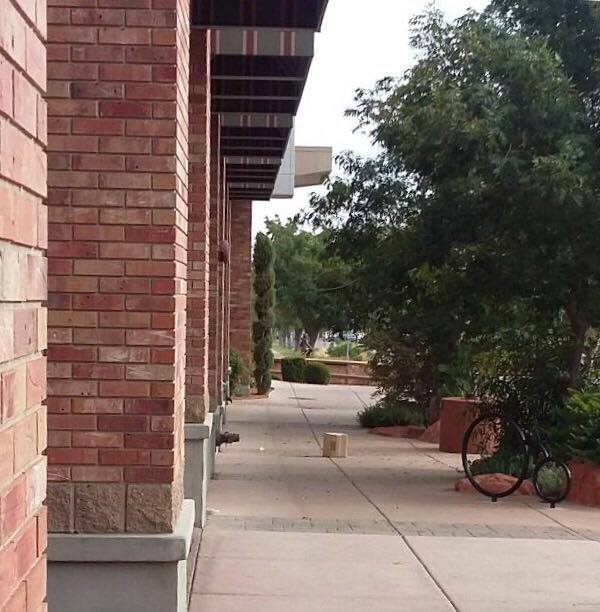 These days it’s just weird to leave a package right there in the middle of a walkway. 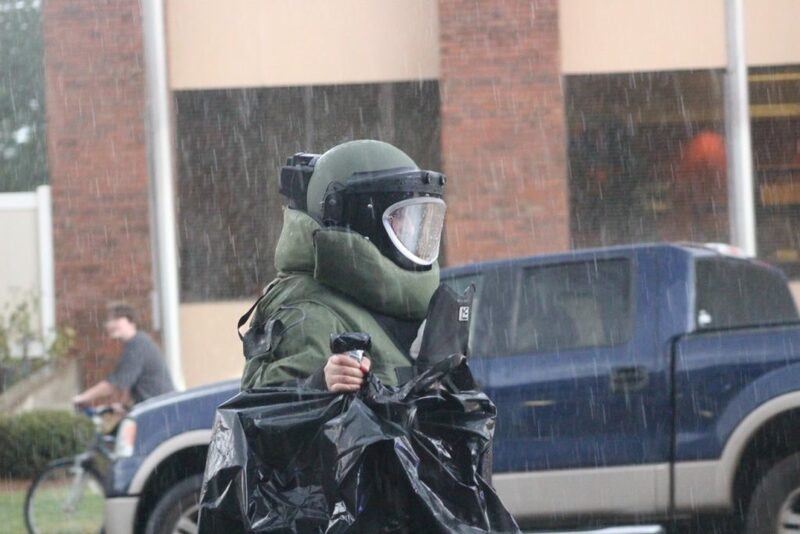 Good job bomb squad. 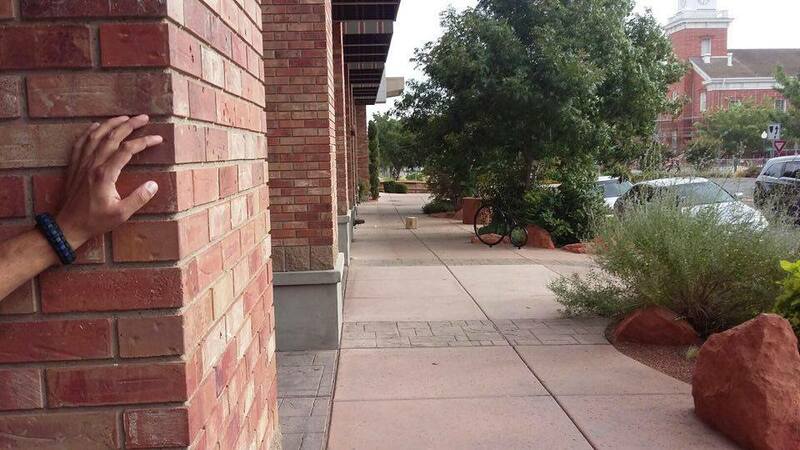 We have a fantastic Police department here in St George. I want to thank all them for the work they do. Well which is it, Dumpster? Were they just lucky? Now they are great? You are all over the place. Pathetic. I know you’re angry because you are misguided and have no purpose and all you have in your pathetic life is to troll me. .. you have my sympathy and prayers the way of the Lord is your salvation. Be well my fellow brethren and may the good lord above watch over you. .
SGPD truly is a police department with high standards and a great example to other law enforcement agencies. Amen to that Sage. . The St George Police department absolutely has the finest standards and they are a great group of professional people doing a difficult job. but they get lucky like any other law enforcement agency and come up with an unexpected turn of events.